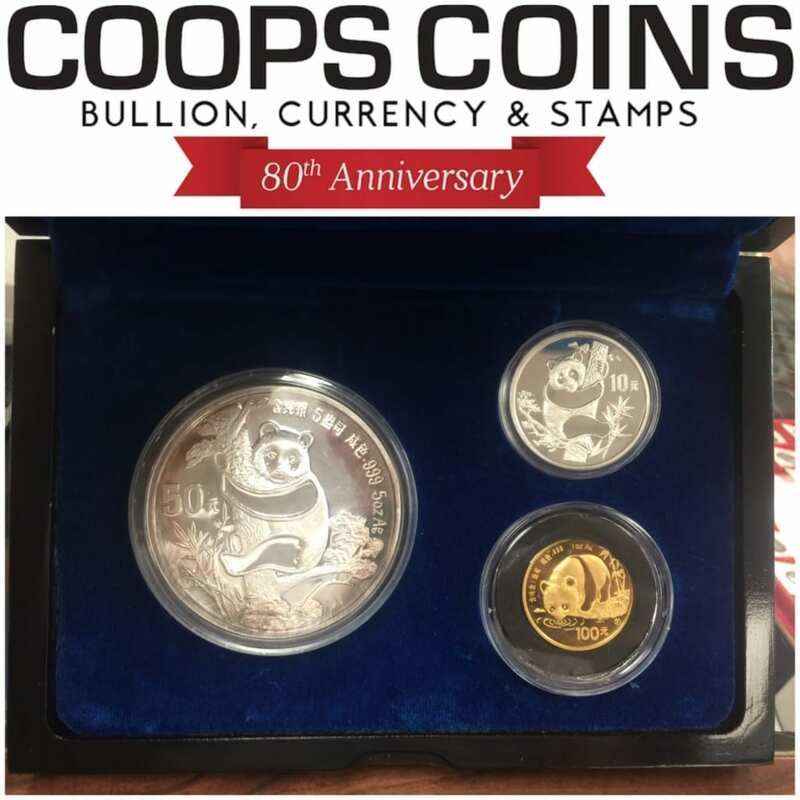 This set of Gold and Silver Pandas contains two rare pieces, the silver one ounce and silver five ounce. The set has a total catalog value of about $2000 and we are selling for $1695. The set also contains a one ounce gold piece.